Scrolling through my Google Reader this morning I came upon a post on See Hear Say that caught my eye. Mostly, I guess, because there was a picture of a curly-haired man peeping over the body of a guitar and below it a YouTube video, showing that he did, in fact, also have a beard. And looked a bit like a young Cat Stevens. I swooned. 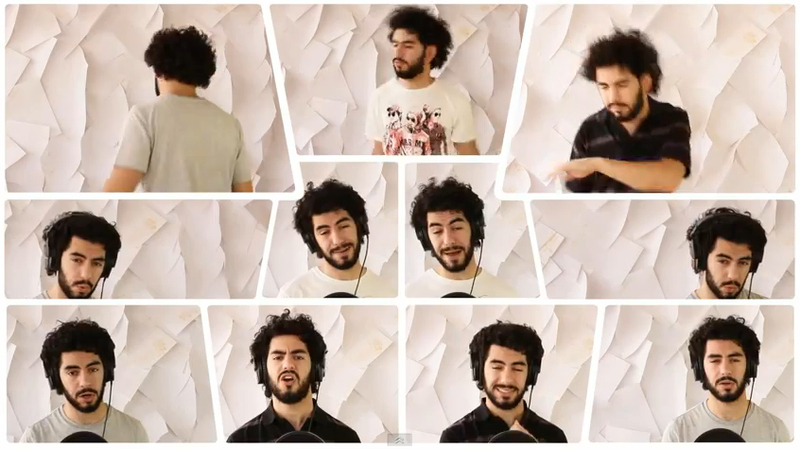 Well, the man’s name is Alaa Wardi and he’s pretty much a genius when it comes to recording, editing, producing and releasing soul-soaring songs, using nothing much more than his voice, body, a small selection of instruments and a computer. Amazing! “For me, that’s more than enough reason to keep doing what I do till I die, and I hope for more people to share with me what their souls have to say. I’m honored to be your soul mate… my listener friends. Now here’s what you think you need to know!! 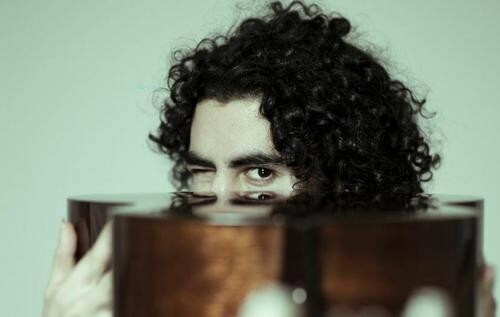 : My name is Alaa Wardi, I’m 25, I’m Iranian, Born and raised in Riyadh, Saudi Arabia, Studied music and sound engineering in Amman, Jordan, and currently living in Riyadh. So, with no further ado, Alaa Wardi’s Ma3gool for your listening pleasure. And the good news is… THERE’s MORE!! Check out the rest of his songs on YouTube.